In episode #4, Pop goes the Weasel, if you look carefully at the combo in the Blue Moon Lounge, you might find the scruffy, guitar-playing folk-singer familiar. His name? CHARLES MANSON. HONEY VICARRO stands as a testament to Gavin Hurrell's legendary eye for talent. Many of the actors featured in guest-starring roles went on to major film and television stardom. 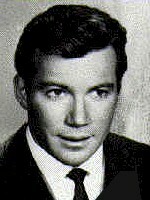 WILLIAM SHATNER starred as a desperate married businessman, a multiple personality who hires Honey to follow his dark half. JULIE CHRISTIE as a young school-teacher who's trapped in a nightmare of drugs and white slavery. RICHARD PRYOR appeared in his first professional acting role as a heroin addicted sax player framed for murder by a crooked LAPD detective. Among the more memorable characters was DUSTIN HOFFMAN Hoffman as the young scion of a department store magnate (William Windom) who is being blackmailed by a ruthless male prostitute. Furthermore, Hurrell cast many of his friends, seasoned stars like SAL MINEO, SAMMY DAVIS, JR. and ERNEST BORGNINE. In one especially poignant episode, LON CHANEY, JR. guest-starred as a deaf-mute, down-and-out boxer who's willing to die in the ring to win a purse to pay for a life-saving operation for his only friend--a little girl who lives in his tenement.